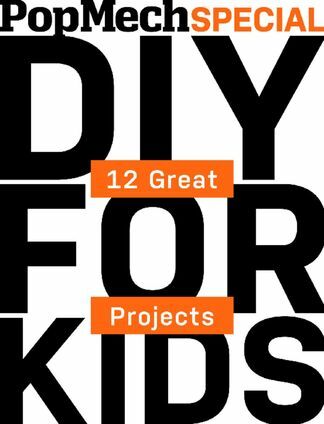 These 12 projects include classics such as a knock-hockey table and a water-balloon launcher, along with fresh ideas: a wind turbine, flexible circuits made from dough, and a small robotic rover. Some are simple enough for a kindergartner, while others will interest a teenager. And most can be done in a day or a weekend. Be the first person to tell us what you think about Popular Mechanics DIY Kids and you'll save $5 on your next purchase!